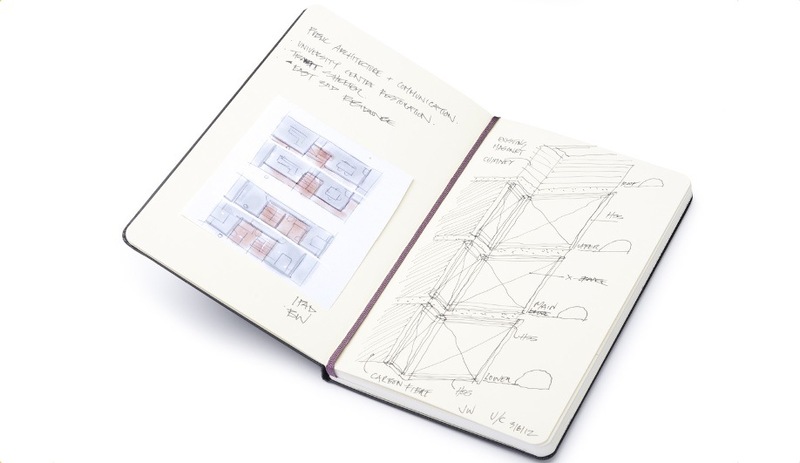 Designers and architects from across Canada added doodles and diagrams to Moleskine sketchbooks for IIDEX 2012. 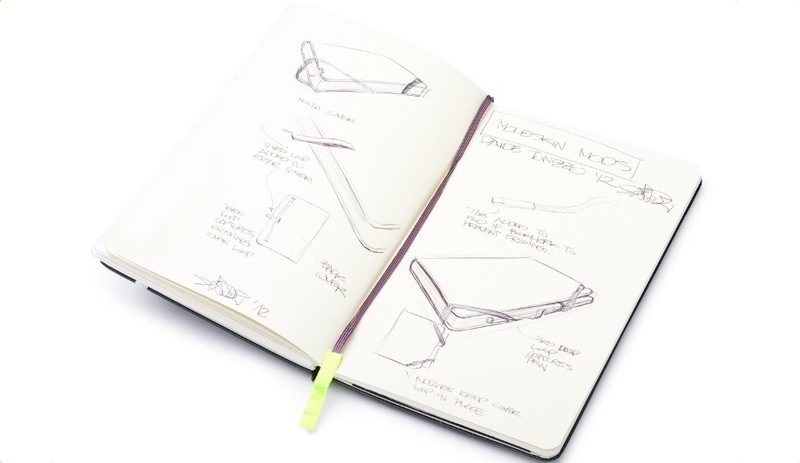 For the September 2012 edition of the annual design and architecture expo in Toronto, IIDEX Canada wanted to do something special with partner Moleskine, the Italian brand famous for its little black notebooks. 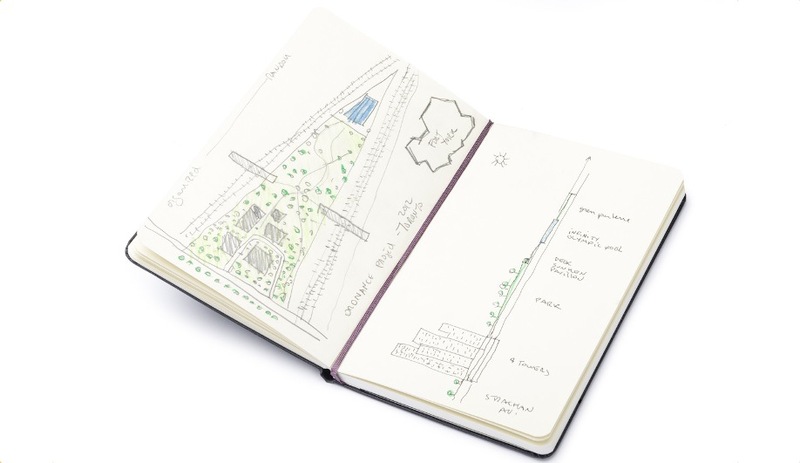 Working with Moleskine collaborators, architects Enrico Cleva and Sara Viarengo Cleva, the IIDEX team produced Canada Sketches. 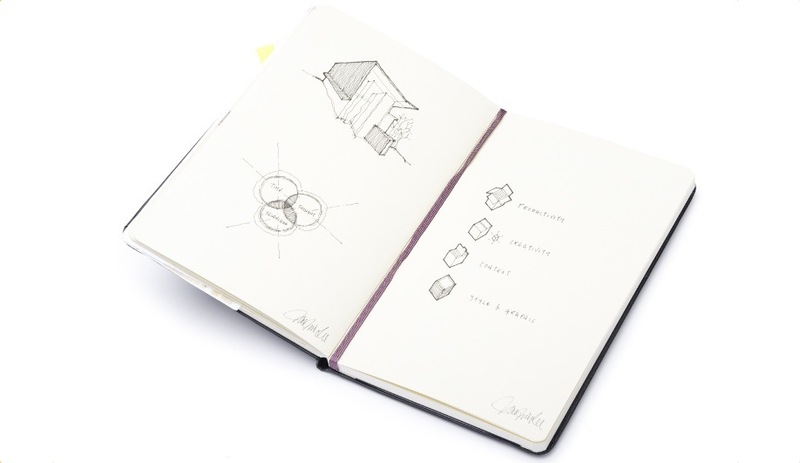 This series of notebooks, filled with doodles, notes and diagrams from some of Canada’s most talented designers, was put on display for the duration of the show. 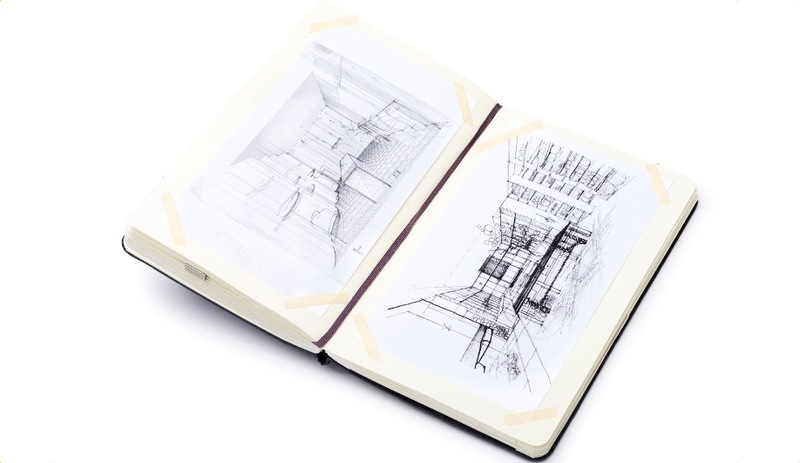 Architecture, interior design, graphic design, industrial design and landscape architecture firms from coast to coast received blank sketchbooks in early summer and were asked to pass them around in their studios. 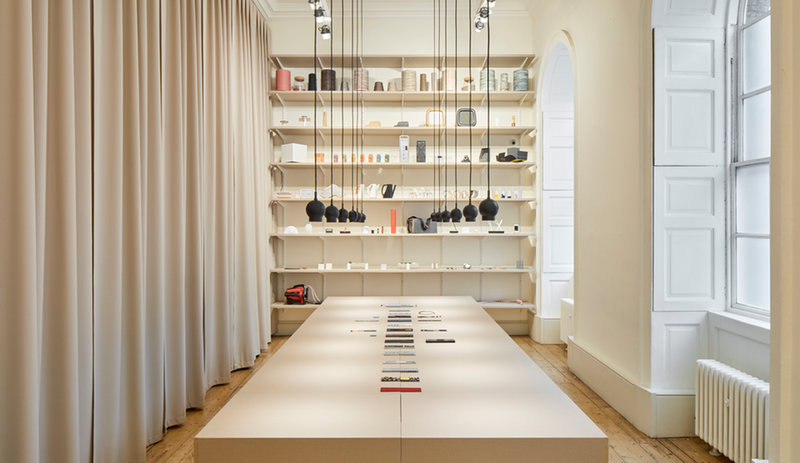 Designers, or design orgs, were asked to fill at least 20 pages with “buildings, products, objects, concepts, ideas or anything you can dream up.” In response, the teams produced a diverse and often revealing selection of images. Azure got an exclusive look at the notebooks before they went back on public display at Toronto bookstore Swipe. 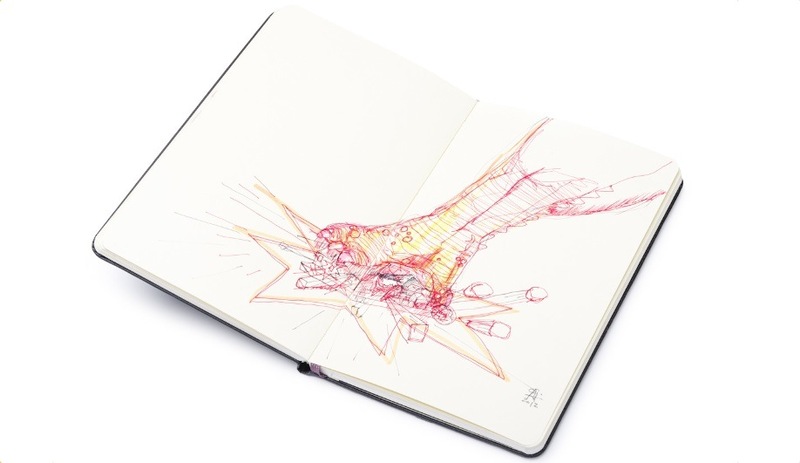 For the Association of Chartered Industrial Designers’ book, Davide Tonizzo, a long-time Arconas collaborator, included cool concept sketches for futuristic cars and bicycles, an elaborate map of a hypothetical expansion of Toronto’s transit system, and a scheme for modifying the Moleskine notebook itself. Twenty + Change, an organization that spotlights emerging contemporary Canadian architects, passed three books across Canada, including a Toronto-centric book in which the collaborative practice Partisans laser-etched a page with a delicate lattice. 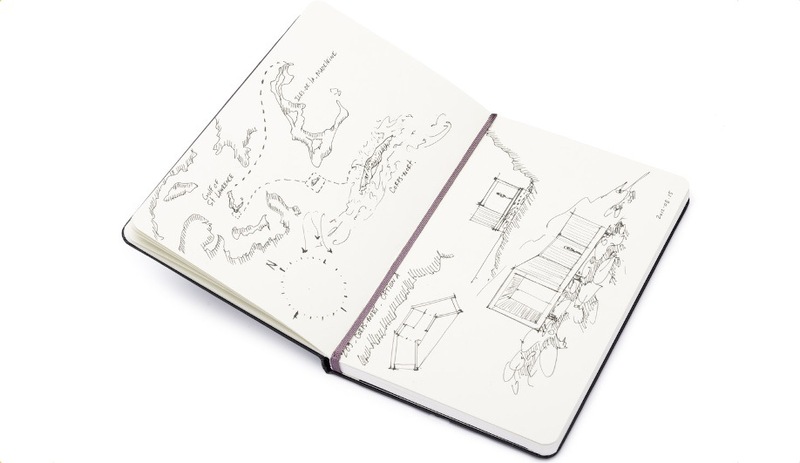 Twenty + Change’s east-coast book features Bourgeois/Lechasseur Architectes’ ink drawings, which include a map of the Gulf of St. Lawrence and sketches of a proposed residence in Quebec’s Corps Mort region. The journal Twenty + Change sent west contains sketches for a university centre restoration by Public: Architecture and Communication. The Toronto Society of Architects received two books. The first includes this sketch of a city destroyed by a Godzilla-like monster. The TSA’s second notebook contains many curious cartoons by Agathom. HOK’s book includes finely detailed colour drawings of old and new buildings, diagrams and even conceptual illustrations. Claude Cormier provides insight into his process with sketches for landscape works like the Jackie Gleason Theater in Miami, Montreal’s Dorchester Square (which he links to the Union Jack) and an idea for a revitalized Fort York in Toronto. 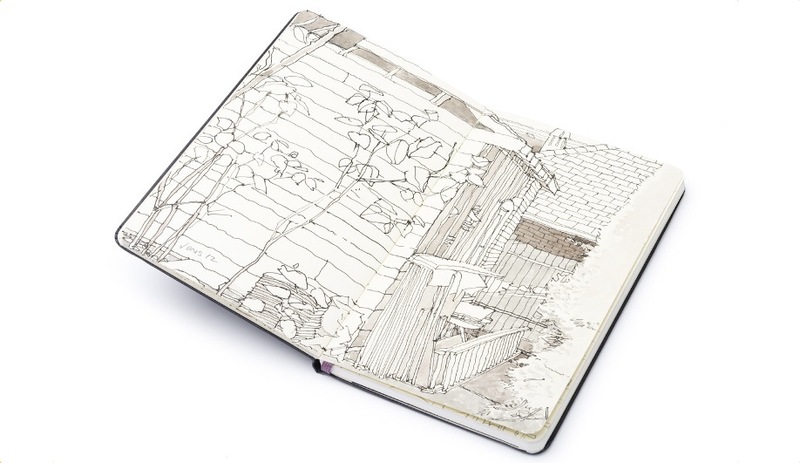 Diamond Schmitt Architects’ book includes several frame-worthy ink and watercolour drawings of forest scenes, beach landscapes and this depiction of a backyard scene. 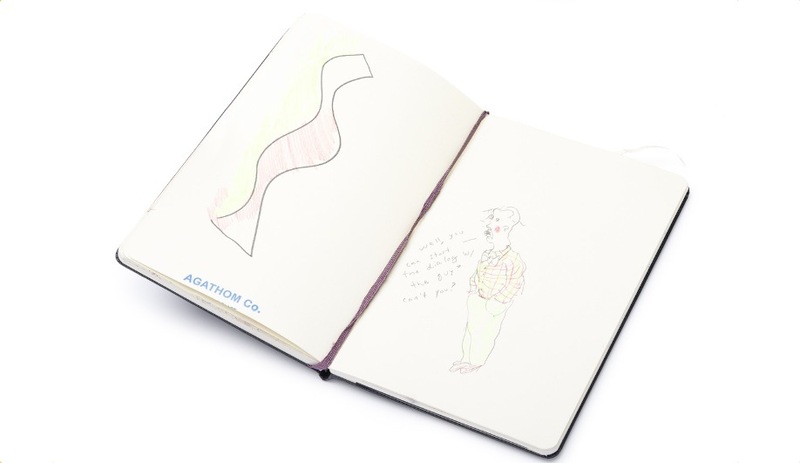 The most elaborate of all is Yabu Pushelberg’s notebook, whose pages are packed with doodles, detailed portraits and pencil drawings and process sketches of interior spaces. 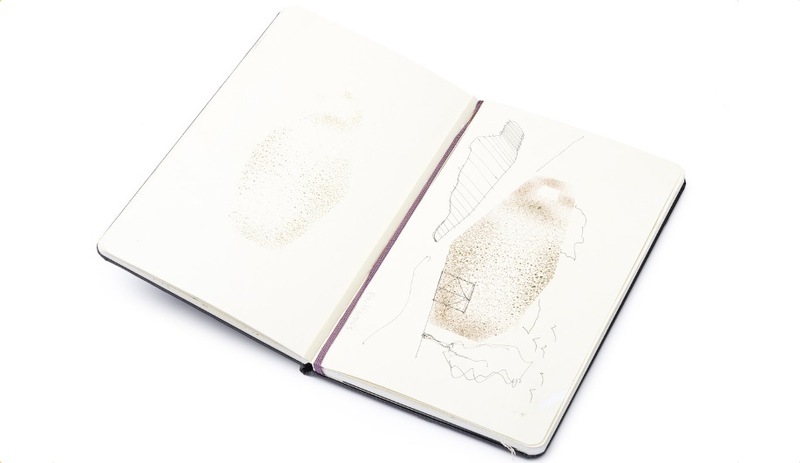 The sketchbooks are on view at Swipe Books (401 Richmond St. West, Toronto) until the end of November.